You may think that because we’re heading into Autumn that the Active Ramsgate team will be taking a back seat, after all we’ve had a busy summer with the UK kitesurfing championships. Not so, the good thing about Ramsgate is that there is so much to do, no matter the time of year. Now is the perfect time for walking in the Autumn weather and seeing the best of the nature that our area has to offer. We’ve had some lovely warm and sunny days right into Autumn this year. 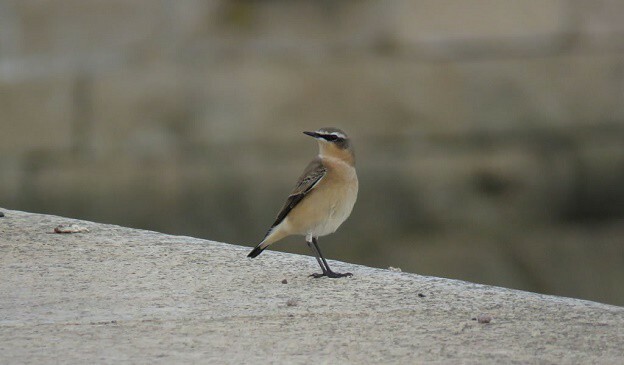 Bird migration is already underway with Wheatear and Whinchat appearing along the coast and cliff tops. The Swifts have already left with just Sand Martins, House Martins and Swallows gathering to refuel before escaping the colder weather. 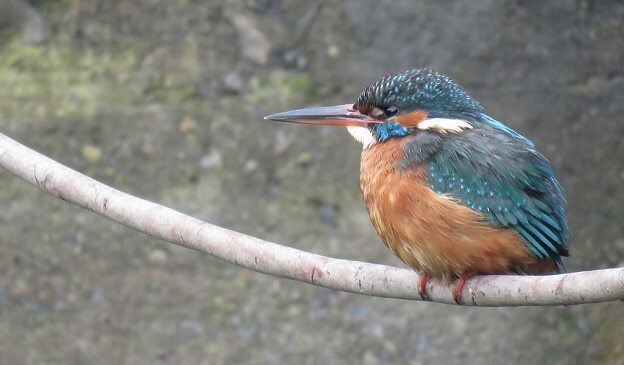 I did wonder after the extremely cold Spring weather if we would see any Kingfishers back in the harbour this year as many don’t survive the Winter but it looks like some have made it. 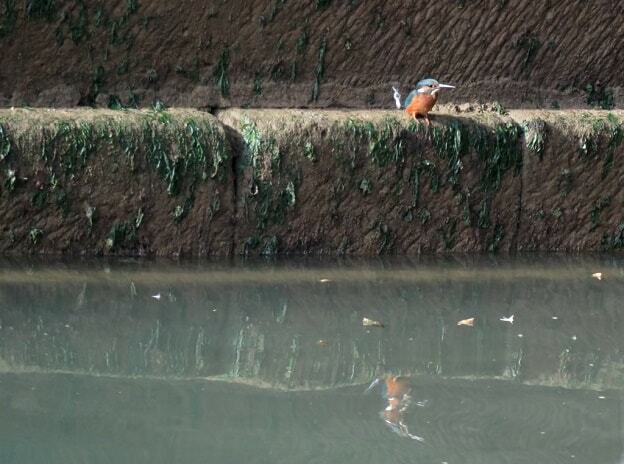 So, it was great to see two of them back in the harbour at the beginning of September. They should stick around until the end of March. 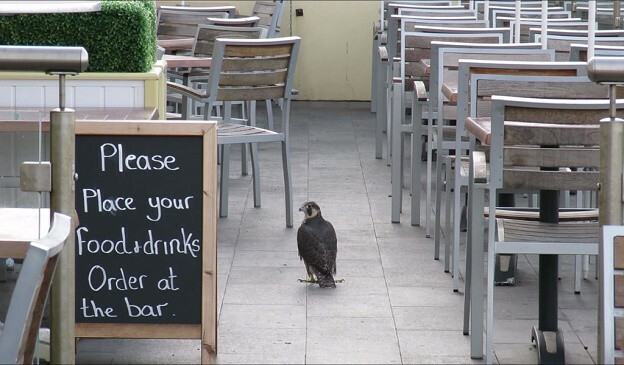 It’s been a good year for our local Peregrine Falcons with them having successfully bred for the first time in living memory, raising one large female chick that successfully fledged after a slightly dramatic first flight where it ended up spending the night on a local pub balcony. It’s now possible to see these birds perched on the church in the centre of town or occasionally perched at the harbour entrance. 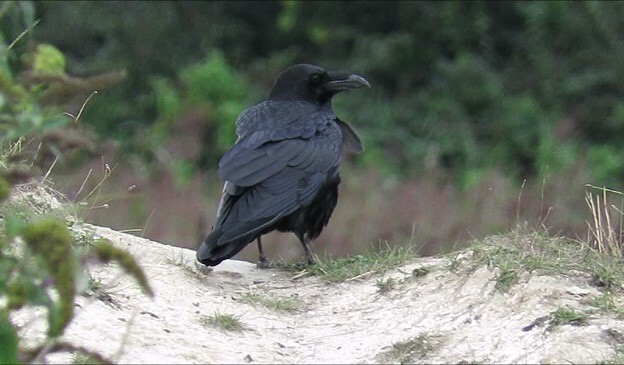 It’s also been great to see that a pair of Ravens are regularly seen flying along the coast making their unmistakeable gronking call. This is another bird that is slowly making a comeback in the area. One of my highlights was seeing a Raven perched on the old coastguard posts in Ravenscliff gardens next to the Pegwell Hotel. A sight probably not seen since Victorian times. As Autumn makes way to Winter we can expect to see wildfowl returning. Flocks of Brent Geese and Great Crested Grebes will be arriving on the coast. The cold weather also attracts more ducks like Wigeon, Teal and Shoveler that can probably best be seen in the Garage Pond at Pegwell. More waders will also be gathering to feed at Pegwell Bay with numbers of Godwits, Curlews and Plover increasing. The shelter of the harbour attracts the occasional Diver species each year with Red-throated, Black-throated and Great Northern Divers. 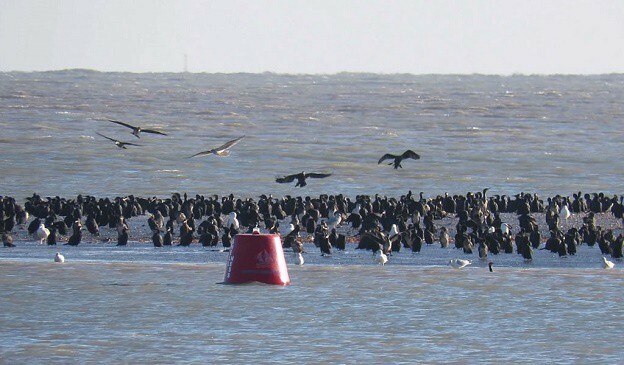 Another regular spectacle to watch out for is the massing of huge flocks of Cormorants. These can number into the thousands. At low tide large numbers can be seen sharing the sandbank with basking Seals off Westcliff. At high tide they fly into Pegwell Bay and at dusk they take off in large V formations to fly up the river Stour to roost in the trees at Stodmarsh. I’m running two wildlife walks at the moment. 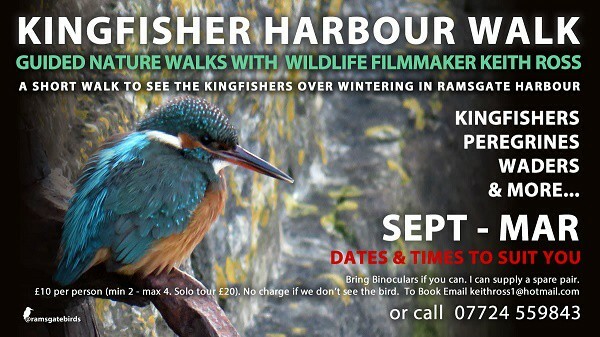 A short Kingfisher walk around the harbour and a longer full day walk from Ramsgate to Pegwell Bay and who knows what other wildlife will turn up around Ramsgate this Autumn and Winter. Contact me at keithross1@hotmail.com for more details and to book a date and time to suit you. Yes, Ron. A great article. Keith’s walks are great, too!